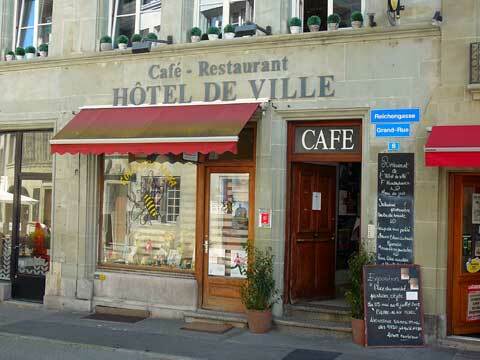 The restaurant de l’Hôtel de Ville of Fribourg is located on the first floor of an old house adjacent to the historical City House from which it takes its name. The chef Frédérik Kondratowicz offers a seasonal menu that explores both the finest local products and rich tradition of the French cuisine. With 29 francs, the lunch menu offers one of the best price-quality opportunity to taste some very fine cuisine at a very reasonable price for Switzerland. The wine list is very large and will let you choose between discovering some original wine or tasting some of the best-known names in Burgundy or Bordeaux. If you have some chance, you might enjoy a table that will provide an overlook the lower part of the old city and the nearby countryside.